Ever wonder why some animals are nocturnal? Or why you or a friend has to get at least nine hours of sleep every night? Or why a family member can function perfectly well with just five hours? The answers lie in your physiology. Did you know your body has its own internal Rolex? OK, not exactly. But your body does keep time. It’s called your internal biological clock—or scientifically speaking, your circadian rhythms. A well-running clock is essential for your health. So much so, that the scientists who discovered how circadian rhythms work were awarded the Nobel Prize in medicine in 2017. Learn how your biological clock affects all aspects of your health. That includes proper sleep, mental health, eating habits, healthy aging, the pesky effects of jet lag, and overall wellbeing. It seems natural that daily routines would revolve around the 24-hour daily period of the sun. But, to be a true circadian rhythm, the cycles must persist regardless of external conditions. That means if you remove all external stimuli (like the sun or your alarm clock) your physiology still centers around a 24-hour cycle. In fact, studies conducted in complete darkness prompted the discovery of these rhythms. Researchers in the 18th, 19th, and early 20th century discovered that these natural cycles occur independent of sunlight. They found plants kept in total darkness still have movements that occur in roughly 24-hour patterns. Also, humans and other animals kept in total darkness, retain cyclical sleep and other biological patterns. As research in this area continued to progress, the word circadian was first used in 1959 and officially adopted 1977. “Circadian” is of Latin origin meaning around (circa) the day (diem). Circadian rhythms are defined as any one of your physiological processes that occur in cycles of about 24 hours. Research continues today, usually on those who have irregular sleep-wake patterns. This includes people who get tired at irregular time periods, or who have trouble sleeping. It extends to those who have to fight their natural 24-hour clock. Individuals like shift workers and frequent flyers. Much of your physiology cycles between on and (mostly) off, in that 24-hour period you just read about. But 24 hours isn’t the hard and fast rule. The length varies between individuals, but devoid of external stimuli, these cycles range from 24 to 25 hours. Without sunlight or other cues, your physiology will drift about one hour per day. Jet lag is one of the best examples of this phenomenon. If you’ve ever traveled you’ve experienced this. It takes about one day to get back in sync for every time zone you cross. There are lots of outside influences that can impact your circadian rhythms. The major regulator is the normal day/night cycle of the sun. But it can be almost any kind of light, natural or artificial. Also the lack of light can help reset your clock. A number of other influences can also help sync or disrupt your natural daily rhythms. Things like sleep time, wake time, eating, exercising, aging and travel all affect your biological clock. 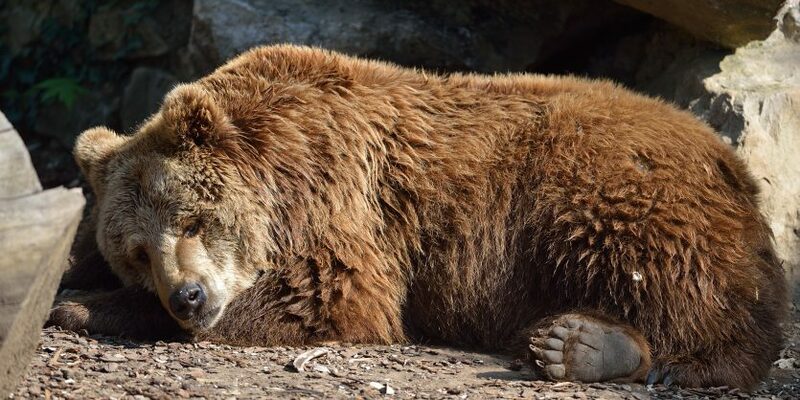 Have you ever wondered what drives bears to gain weight in preparation for hibernation? Or, on a more personal level, why you may gain a little weight leading up to colder seasons? Circadian rhythms are not limited to only daily routines. They also play a role seasonal patterns, like eating. Other seasonal rhythms you may experience, are changes in mood and behavior. You may find yourself feeling generally more tired during cold, dark, and wet weather. And some people experience happier moods during warm and sunny seasons. Animal behaviors, like migration, hibernation, and reproduction, are also examples of seasonal circadian rhythms. Many studies have shown that disrupting daily rhythms have negative health consequences. Staying in a consistent daily routine—centered around constant sleep, wake, and meal times—has positive influences. Guarding your natural circadian rhythms is important for overall health and well-being. Circadian rhythms influence sleep-wake cycles, hormone release, digestion, maintaining normal blood pressure, hunger, and body temperature—to name a few. 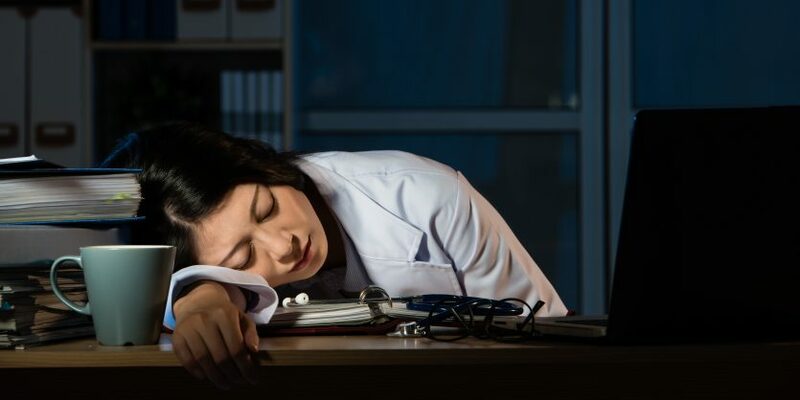 Disruptions in circadian rhythms (those caused by shift work, extensive travel, some forms of blindness, and various disease states) have been linked to negative health outcomes. That includes sleep disorders, obesity, mental health issues, and other chronic conditions. But your lifestyle can help keep your rhythms steady. There are lots of factors that go into a healthy lifestyle. Maintaining a consistent daily routine that focuses on healthy habits can help stabilize rhythms and help you achieve optimal health. Let’s focus on probably the most important thing circadian rhythms control—sleep. The benefits of a regular sleep cycle are physical and mental. Sufficient, regular sleep promotes improved concentration and coordination. Physically, your body performs much of its regular repair and maintenance during sleep. Insufficient sleep can result in an increased risk of weight gain, compromised immune function, and more adverse health outcomes. Since your body has a running biological clock, it controls, at a basic level, when you decide to sleep and stay awake. The rhythms help you fall asleep at the same time each day, and to stay asleep. They also help wake you up in the morning and flip the switch on the energy that powers your daily tasks. During the day, your body suppresses the production of melatonin—what is often referred to as your sleep hormone. In the evening, when light stops hitting your eyes, you start producing melatonin. This hormone reduces alertness, makes you feel drowsy, and helps you fall asleep. Circadian rhythms further help you stay asleep by altering digestion to reduce bathroom breaks throughout the night. They also slow your metabolism by decreasing your body temperature. That’s why most sleep experts agree you should sleep in a cool, dark room. But what about naps? How do they fit into circadian rhythms? While not promoted by melatonin, an afternoon nap can still fit into your circadian rhythms. Like sleep during the night, it can reinvigorate you with energy and increased concentration. Stick to shorter power-naps (less than 30 minutes). Longer naps can disrupt your normal sleep cycle. Naps might not impact your circadian rhythms. But some aspects of modern culture and lifestyle have you fighting against your internal clock. Airplanes allow you to cross the globe and multiple time zones very rapidly. This can leave you out of sync with your natural cycle. This is commonly called jet lag. You’ll read about more common disruptors below. Drugs, both legal and illegal, have a strong impact on the central nervous system. While this can affect all types of circadian rhythms, sleep is one that is most apparent. For example, caffeine is a stimulant that can disrupt and push back your normal sleep cycle. Alcohol can do the opposite. It promotes drowsiness. But, at the same time, it can prevent you from entering a deep and restful sleep. Drug abuse is especially harmful to circadian rhythms. Even a single case of abuse disrupts sleep cycles in a way that can lead to further abuse and addiction. Drug abuse can also cause long-term disruptions to circadian rhythms that last after you break the addiction. These disruptions can be caused by all types of drugs, including prescriptions. You should not stop taking your prescription medication, but you should work with your doctor and pharmacist. They will help you determine medication timing and other lifestyle changes to keep you in rhythm and at your healthiest. Your eyes might not mind the difference between natural and artificial light. But your circadian rhythms do differentiate between types of light. Depending on the timing and color, artificial light can increase or decrease your natural, daily rhythm. Shorter wavelength lights, like blue and ultraviolet, are especially harmful to your biological cycle. These wavelengths inhibit the production of melatonin. Remember, melatonin is your sleep-promotion hormone. Lights in your home, on your television, phone, or computer monitor all can negatively impact your melatonin production. As you get ready for sleep each night, consider turning off your digital screens. Another option, many phones and computers now include a “Night” setting that makes the screen much warmer colored and reduces its blue-light output. Unfortunately, this is one disruption that you might not have as much control over as you would like. Working night shifts disrupts your circadian rhythms in a number of ways. You have to work when you should be asleep, sleep when your body wants to be awake, and you’re surrounded by either artificial light or sunlight 24 hours a day. Stick to a schedule. Wake up and go to sleep at the same time each day. Create a dark sleep environment. Use blinds, blackout curtains, or get creative to block out the sunlight from coming in your windows. Put a towel under the bottom edge of your door. Do whatever it takes to make it feel like night. If you have ever flown across several time zones, you know the feeling of jet lag. It can leave you tired when you want have energy, or stuck awake all night long. Airline pilots, flight crews, and frequent fliers are all too familiar with these feelings. With extreme cases leading to constant tiredness that never actual leads to a good night of sleep. One of the best ways to fight jet lag is to stick with the local schedule. You might have just gotten off a 10-hour flight ready for sleep, but locally it’s only noon. Do your best to stay awake. Feel free to take this first day easy, but don’t go to sleep until it’s actually night. Alternately, due to the time zone changes, you might arrive feeling rested. But the locals are heading to bed. This is most likely to happen if you’re travelling east a few time zones. In this case, consider waking up early the day of your flight and avoid sleeping on the plane. This will help shift your waking hours closer to your destination. In either of the cases above, a melatonin supplement about one hour before you plan to sleep can help shift your circadian rhythms towards the local time zone. * This will help you feel energized and ready for whatever your location has in store. As you can see, your circadian rhythms are super important. But they are so overlooked when it comes to achieving optimal health. You’ve seen how they can impact your life, and how your life can impact your circadian rhythms. Do what you can to protect your natural cycles to help keep you as healthy as possible.